2019 CALL FOR ENTRIES! 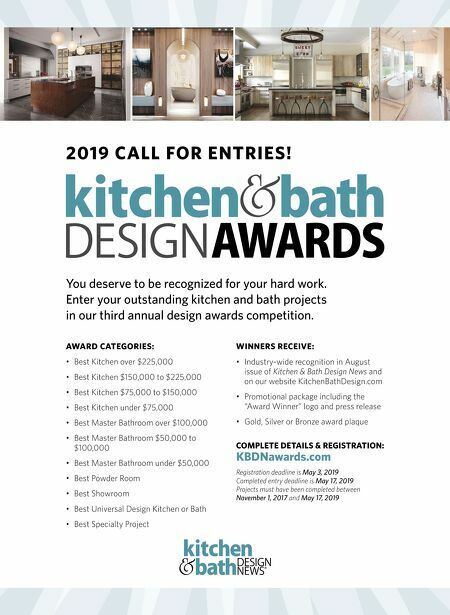 AWARD CATEGORIES: • Best Kitchen over $225,000 • Best Kitchen $150,000 to $225,000 • Best Kitchen $75,000 to $150,000 • Best Kitchen under $75,000 • Best Master Bathroom over $100,000 • Best Master Bathroom $50,000 to $100,000 • Best Master Bathroom under $50,000 • Best Powder Room • Best Showroom • Best Universal Design Kitchen or Bath • Best Specialty Project WINNERS RECEIVE: • Industry-wide recognition in August issue of Kitchen & Bath Design News and on our website KitchenBathDesign.com • Promotional package including the "Award Winner" logo and press release • Gold, Silver or Bronze award plaque COMPLETE DETAILS & REGISTRATION: KBDNawards.com Registration deadline is May 3, 2019 Completed entry deadline is May 17, 2019 Projects must have been completed between November 1, 2017 and May 17, 2019 You deserve to be recognized for your hard work. 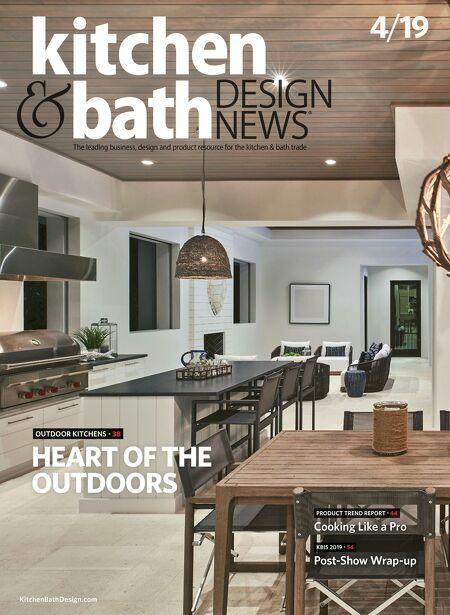 Enter your outstanding kitchen and bath projects in our third annual design awards competition.